As part of our foray into consumer services, we are now discussing a few solutions to problems people we've met have encountered in their personal and professional lives. The whole point of getting a domain name is to use it. Here we'll show you how to use it with Google Hosting (ghs) via the domain management interface. Two free hosting products are Google Sites and Blogger. They allow you to easily map a subdomain. You can have an unlimited number of subdomains. 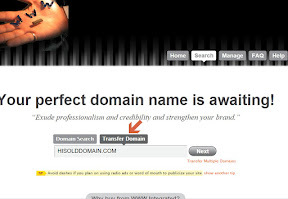 In a web address such as www.wintegrated.com for example, "www" is the subdomain. 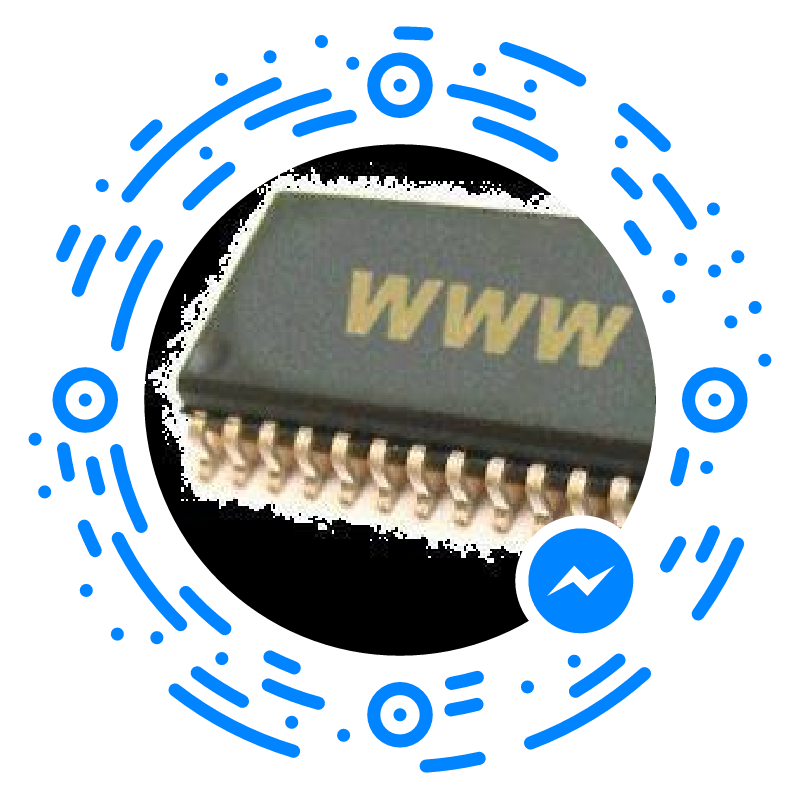 Can you guess what is the subdomain in blog.wintegrated.com? Yes, it is "blog", while "wintegrated.com" is the domain name. Alternatively, your domain name may be called "second level domain" (SLD) while a subdomain becomes "third level domain". Dot com (.com) is a top level domain (TLD) and so are .net, .org and many others. TLDs may further be categorized in generic TLDs or gTLDs, as in our examples so far, or country TLDs or cTLDs, such as .ca, .us, .uk, .be. You may find more info on domain names on Wikipedia. When talking about domain forwarding and subdomains, your domain name as entered in a browser address bar, without any subdomains preceding it, is referred to as "naked domain". Login with your credentials (which we have previously emailed to you) by clicking on the link above. Go to Name Servers / DNS, then click on Modify DNS Zone. Scroll down to CNAME records and follow the Google Help guide, choosing "Sites outside of Google Apps". You can map more than one subdomain to the same Google Site, and you may choose which one is "canonical" - i.e., which one is most important and should be used in searches. If the option to map the domain is not available, you might have to first add and verify your domain name via Google Webmaster Tools, as shown in the guide above. 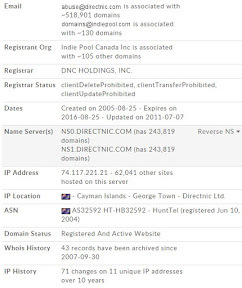 Visit your domain management page (as shown above in the screenshot) and find the DNS (Domain Name System) or the CNAME settings. It may take up to 24 hours for the process to complete. If you see an error after 24 hours, try the process again. If you are still working on your Google Site website, you could create a subdomain and assign it to a "countdown / under construction blog" which we previously described, e.g., "blog". You can keep working on your Google Sites website and access it via its "sites.google.com/site/yoursitename" address, or you may add it a second or even third subdomain, such as "beta.yourdomain.com" and/or "backup.yourdomain.com". You make all these subdomains work with Google via the guides above, using CNAME records. You can then redirect the naked subdomain to any of them using the "Domain Forwarding" option in the interface shown above. You could also create a "www" subdomain via an A record and forward it to the countdown blog, until your Google Site is ready. Once it's ready, you may either forward it to your new Google Site (i.e., forward both the naked domain and www subdomain to the Google Site's address, previously set as a CNAME), or forward the naked domain to the www subdomain, delete the A record for the www subdomain and recreate it as a CNAME pointing to your new, working Google Site. Whenever you need more time to finish up the design of your webpage, or to deal with an unexpected downtime, we can help you set up one of the following "coming soon" / "under construction" countdown pages. Once created, such a page will be entirely within your control and you can reuse it later for other site redesigns, scheduled maintenance or mitigating unplanned outages. To choose the right one for you, have a look at this album of screenshots. Most of the time you also need to configure a feed as these templates relay on Google Feedburner to capture email subscriptions for updates. After creating the feed, you need to specifically enable Email subscription and optionally customize it with your brand and your own messages. If we set it up for you, we'll transfer it to the email address on record (you might need a Google Account for it). Whatever you choose a template yourself, choose wisely; if you feel overwhelmed by the choices, we could do this work for you - let us know via the form! Until August 31, 2016, it was possible to host a website on Google Drive, but now complex sites need to either use the Google Drive API, Firebase or Google Cloud Platform. Host your website free with Google! If you want to keep a journal for the world (or just yourself) to see and be in full control of your content, and even possibly post ads, Blogger is your best choice. Compared to other blogging platforms, such as Wordpress.com, you can host your domain name for free, you can post ads (such as Google Adsense) and you have far more freedom in modifying the "look" of your site. This freedom is also the reason why some people may choose to host corporate or static websites with Blogger, much like those who like to pay more host with Wordpress (aka Wordpress.org). If, however, you are an absolute beginner, I recommend you look no further than Google Sites. It is as simple and straightforward as it gets and it even includes some limitations meant to ensure you don't do anything too crazy or dangerous. Such a site will be accessible via sites.google.com/site/yoursitename as well as multiple (sub)domains, making it perfect for a backup site once you outgrow its constraints. The easiest way to familiarize yourself with the product is to create a site as a playground and explore the different options available to you and how things change as you modify content and structure. You may create and delete sites as you wish, so don't be shy, go ahead and explore! If you copy and paste web content from elsewhere (such as when transferring your website to Google Sites), the images might not be uploaded. For the images to be saved, you will have to save the webpage to your hard drive with type "Webpage - complete", then "Insert" or upload each image via the Google Sites editor interface. If you are starting from scratch, spend a few minutes with a pen and paper (or your finger and touch screen) sketching out how you want your website to look. You can place a navigation bar on top, or on either side, you can have a dark or light theme and you can have as many pages as you want. Create a site purely as a playground and test your assumptions and actions before messing with the "live" or "main" site. If you anticipate taking longer for your website to launch, set a deadline and direct your domain to a static page informing visitors of the launch with a countdown and capturing their email address to keep them up to date. This page may also contain your contact info. We can even help you set up a mailbox on your domain, so that somebody can email you at whateveryouwant@yourdomain.name; you could then access your email via this mailbox which is like Yahoo! or Google mail or forward it to your existing email address. Though the visual editor provided by Google Sites obfuscates it, web pages are written in a language called "HTML" or HyperText Markup Language. To see a sample of this language you can right click on any page and choose "View Source" - this option might be found in a different menu, depending on the browser. You can see what HTML looks like in Google Sites by clicking <HTML>, the top rightmost button when editing. You could then try editing HTML directly to learn it and see how things change. It's really simple: to bold text enclose it in <b> and </b> tags. For italics, use <i> and </i> and so on. You can already notice a pattern, namely that the closing tag is the opening tag + slash ("/"). There are numerous tutorials and resources for learning HTML - just search using Google. Understanding HTML and its big sister, CSS, will allow you to better control the look of your page and do more than the visual editor allows you to do. The above resources should be sufficient to get you started with Google Sites. We strongly encourage you to try to figure it out on your own, as this is a mature and simple product that just works. Here at Wintegrated we do not normally take webdesign projects, for reasons outlined by the creator of Oatmeal. If your requirements are beyond the scope of what can be achieved with Google Sites or Blogger, please make use of our Consulting services. Businesses in hospitality as well as public libraries offering computer access to the public need a way to lock down to a "pristine" or "default" state to which they can easily revert in case of user mess-up or willful malfeasance. Microsoft used to provide Windows Steady State tool for Windows XP and Vista but that has been discontinued and does not work for later members of the Windows family. A workaround for Windows 7 has been documented, and its principles can be applied to later Windows versions, but it could be too complicated for its target users. Those Windows 7 Enterprise and Ultimate users who would rather install a program than do all that work could use SteadierState, while those using other Windows OSs could try Reboot Restore Rx (RRRx). However, even with RRRx some work needs to be done to ensure that malicious users do not evade its straitjacket as it can be disabled without a password. To do so, one would have to prevent the icon from populating the system tray using a startup manager such as MsConfig or the one in CCleaner. You can then relaunch it by manually browsing to its location (the default is C:\RebootRestoreRx\program files\Shield\shieldtray.exe though you can obviously install it to a different location). Another way a user could remove this protection is by pressing the Home key on boot, which gives access to a special menu allowing uninstall. Another option is to use a virtual machine, although that presents its own challenges as well, one of them being beefier hardware specs, especially RAM. For Windows, we recommend VirtualBox. A friend of ours had decided to move to a new city and had difficulty setting up her move because landlords and other service providers were reluctant to call back and incur long-distance charges. We set her up with a phone number in her new city via EZvoip. She signed up for the service specifying she wants to order a phone number in a specific area code, entering a few alternatives in case the first choice was not available. Waited for us to check and verify the account. She used the Welcome Email and / or the website to setup service on her smartphone. She tested that it works using our free starting credit. She deposited money into her account by logging in to the website with her email address and chosen password. We added the phone number, allowing her to make and receive phone calls. Voicemail recording sent automatically via email. Only $1/month for her phone number with less than $0.01/minute for use. Receipt of text messages (SMS) via email and ability to reply by email. Ability to make calls to any country at very low rates and availability of all you can use plans. Ability to record phone calls at no extra charge, with the recording instantly saved on the phone, without any other privacy issues. Ability to set up an IVR (phone menu) in multiple languages. She is now happily living in her new city, still using our service. We recommended that she only get a "tablet (Data Only) plan" from her cell phone provider to maximize savings. We have recently met a retired gentleman who was having some issues with his website. Formerly a statistician, he is now active as an artist and publisher. He approached us with a question regarding his website, which had not been updated in a long time and had been designed by a subcontractor of his publisher who was now living in Beijing. He wanted to make some changes and update it, but he had no access and now way to effect such changes. Given his circumstances, we advised that he transfers his domain name to us, with full control and self-administration, and hosts his website for free. Obviously, the domain was not in his name, which made the transfer quite difficult. We note the expiry date is in 2016, about 1 year from our query. If the current owners of the domain will not release it before its expiry, we have the ability to order a new, similar domain name, pending availability. Here is how our exchange of emails - first, his inquiry. I finally heard from the local company (*** ***) that looks after my books, cds, re. production, distribution , warehousing and initial hosting of my website, about the control of my website for direct input daily etc.......that you and I talked about in June, and that I now have to do via a fellow now based in China (***) who was given my account when he worked in Toronto under contract by *** *** I assume. I have no idea what my hosting- contractual relationship is with Fish if any, since it was done through Indie pool when he either worked for Indie pool or was under contract by indie pool. I made edits of my website through *** ***, who then dished it out to ****. I don't think I ever had any contractual relationship with ****, Indie pool always looked after input to my site, through ****, when in TO; its relationship with him changed it seems when he went to Chin. As mentioned (see below) I'm going to proceed and host my site myself from here on, all I need now is someone to help me rejig it and help input updates regularly etc i.e. a new part -time web guy or gal. What follows is an excerpt from our reply. What I recommended you do is you take control of your own domain, pay only for what is called "bare domain hosting" (a service we offer) and host your website with a free service that allows free use of a domain name. Blogger (another Google product, www.blogger.com) if you want to host a more complex, very frequently updated website. Once that is completed, you will get a login and password that will allow you to completely administer your domain without having to wait or request permission from anybody else. You will get an automatic reminder by email when to renew, etc. The yearly cost of a .com domain is $15/year or less if you renew for more than 1 year. For everything described above there are online resources that you can access yourself, without my permission, input or anything of that sort. 30 minutes of my time to meet face to face and set you up for updates on the device of your choice, set up Analytics and / or answer any questions you may have. It is also possible to offer you a "hosting package" which would include more professional webdesign and a personalized email such as info@HISOLDDOMAIN.COM, but that would incur a recurring cost or a significantly higher setup charge and you mentioned to me that you don't need it. One can easily peruse the above collections of templates and set up a website that can be updated with a Google account following simple instructions, using a free template as a starting point. The only recurring cost is that of a domain name, which would be minimal, as it does not come bundled with hosting. One can also obtain a "branded" email address, but that is a more complicated setup and it usually requires a recurring cost, and a hosted email solution - we can help with that as well.